It looks like Season 2 will be 16 episodes. We haven’t really nailed it down, but I think we’re going to do eight in the fall and eight in the spring. 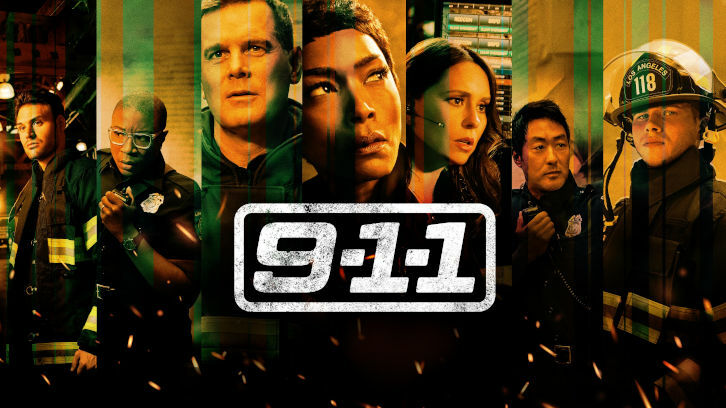 DEADLINE: Were you surprised by 9-1-1’s success? MURPHY: I was surprised. I was surprised at how it premiered strong and really hung in there. The consistency of the ratings, that’s what I love because I feel like that is key to an even more successful season two; I think people have fallen in love with the characters, and I’m grateful for it. I’m grateful that Dana pushed us to get it on the air in January, which I think was a really smart counter programming move, and it’s unexpected because I hadn’t done a procedural for so long. I’ve particularly never done something about first responders, which is something that I think people would not expect coming from me. But I was thrilled that it caught on, and I’m thrilled that it continues to do so well. It’s an interesting thing because of the last two network shows that I’ve done, The New Normal and Scream Queens, Scream Queens went for two years. I wouldn’t say that was a huge success. I loved it, but this feels like a bigger success to me, a bigger network success. We have a five-year plan, we’re in it to win it. There’s talk of spinoff already, so the fact that it went from such an intimate collaboration with my boss, Dana, to a success story makes me happy and proud for everybody because we all really rolled up our sleeves and dug in on it so that we could get it on the air in January. DEADLINE: You mentioned a potential 9-1-1 spinoff. What will it be about? MURPHY: Well, I don’t know. We’ve been talking about it but we haven’t figured that out. It’s something that we probably wouldn’t do for another year, but there’s been mention of it. For me at least, the network game has been hard to crack, so I’m pretty thrilled with the fact that it has proven to be successful enough that there’s been mention of that at Fox, like what would you do and what would it be. I don’t know what the spinoff would be, but we’re talking about it. DEADLINE: What about the cast, is everybody coming back next season? I believe Connie Britton had a one-year deal. MURPHY: Connie and I are talking about her coming back. Connie had just come off Nashville, and she didn’t want to do another show right away. I said, ”well, why don’t you just do a one year deal’, so Connie has a one-year deal, and we all knew that going in. But the show has become such a success, successes are good, and Connie and I both realize that, so we’re talking about her coming back in some capacity to season two if we can make her deal work. We’re adding other cast members for season two. This season was about growing the firefighter family, the first responder family. We spent a lot of time in that firehouse, we spent a lot of time with them around the table, so the second season will be about introducing new 9-1-1 operators and their dilemmas and their personal emergencies. We’re casting those right now, and Connie will, hopefully, definitely be a part of that.